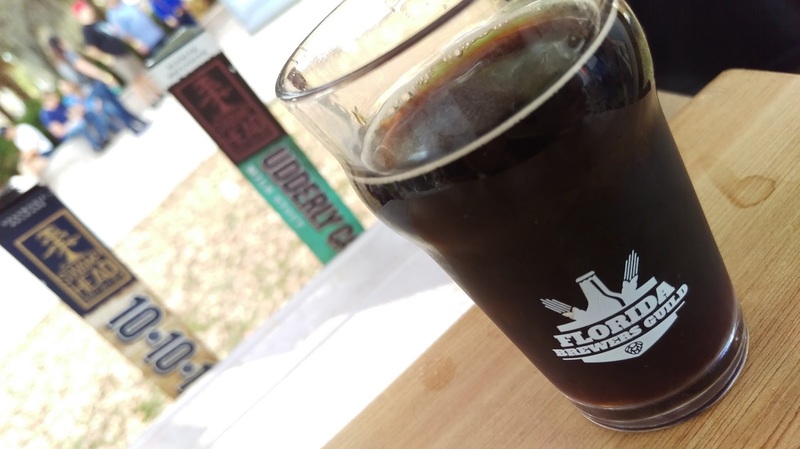 The Sunshine State was just that on Saturday, March 3, as the Florida Brewers Guild hosted its annual celebration of Florida breweries and beer at its Craft Beer Festival ("FBG Fest") at Cotanchobee Fort Brooke Park along the river in downtown Tampa. It was all sun and smiles on the first official day of Tampa Bay Beer Week. The Park is no stranger to beer fests, and the FBG Fest has been held here year after year. It was a beautiful day along the river to drink Florida beer and meet Florida brewers! All proceeds from the fest go back to the FBG, a nonprofit trade association dedicated to preserving the rights and interests of the state's craft brewers. The funds are used for lobbying efforts, educational outreach and programs, member events, and additional public events. 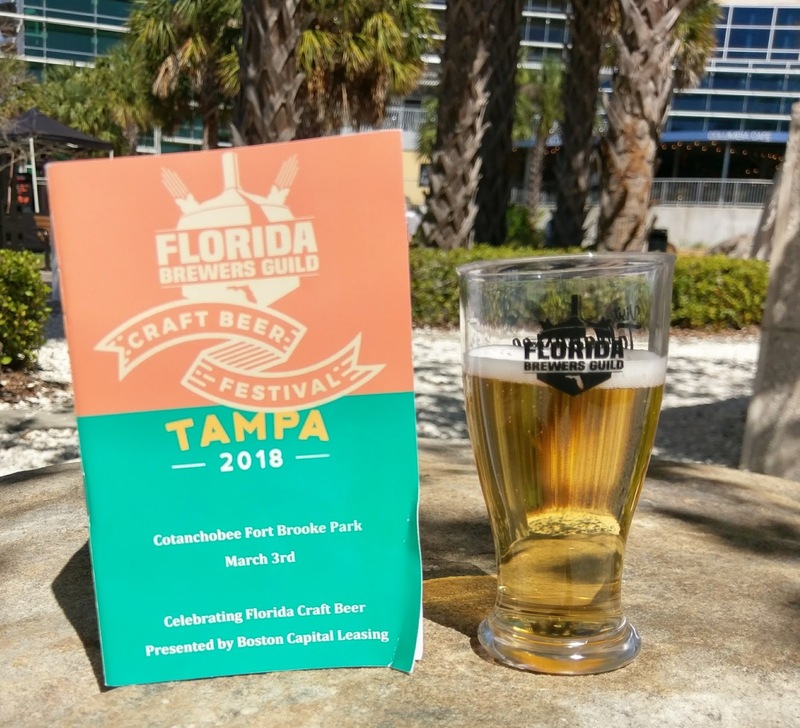 With over 70 Florida breweries behind the tables pouring between 3-5 beers (or more) each, attendees had the opportunity to taste a number of beers from all across the state - and, yes, that can translate into a beertrip down the road! The most extensive beer week in the Sunshine State returns this coming weekend. 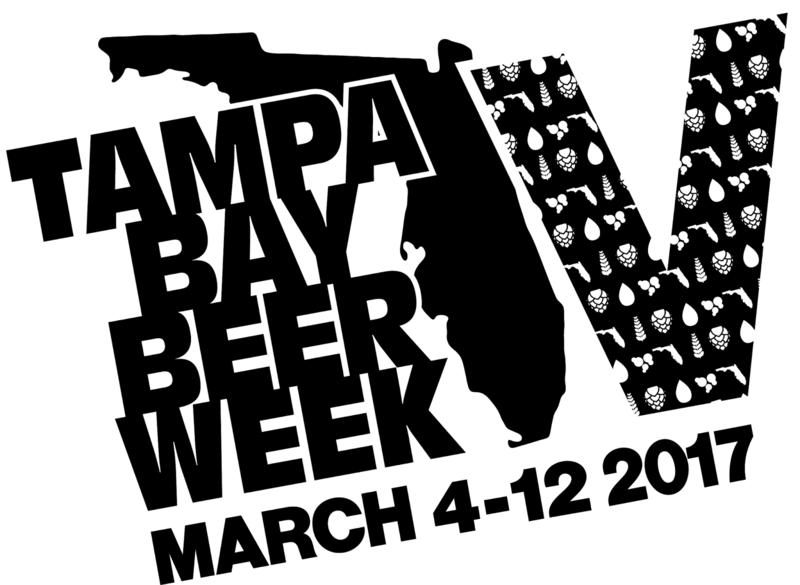 Whether you live in the Tampa Bay area or not, chances are pretty good -- in fact, I'd bet a Pair O'Dice Hop Bet Red -- that you've heard of Tampa Bay Beer Week, which "officially" starts Saturday, March 4 (after several pre-TBBW events). It seems only fitting that the Florida Brewers Guild will once again kick off the mega-beer week with its annual FBG Fest Saturday, from 1-5pm, at Cotanchobee Fort Brooke Park along the Tampa Riverwalk.